Once you analyse and reach a decision that your business is in need of custom software to achieve business goals, then certainly the next step would be to hire dedicated software developers who actually can help you meet your business needs. When you talk about custom software the first thing that comes to your mind is about software that will be tailored to meet your business needs. What you expect is that the software should have all the necessary features built in that could cater to the needs of your business and can offer you everything that readymade software wouldn’t do. The software will also help your team to improve work efficiency. It is obvious to make mistakes while hiring/outsourcing any software development services as there are plenty of talents in the market and it is difficult to choose the best. Remember, not every company has the right skill-set, expertise, experience or punctuality that you are looking to hire to create custom software for your business. Try not to fall in prey to those not so talented firms and waste money. You can read on the key points listed below so that you can make an informed decision while hiring any of the software development services out there in the market. Timeline for the project is important – Ask if they can finish the project on time? What are your business needs and what are your business goals? What is your budget? How much are you planning to invest? Technologically sound – How proficient they are in technology? Technical support- Will they offer technical support post software development? Of course what you would be ideally looking for is a firm that delivers high quality project within the given deadline. Many of the projects fail to be successful every year, just because they fail to deliver it on time. The first thing that you need to give importance to while hiring a custom software development company is to check their success rate. You will be able to find the success ratio by checking their portfolio and history that would help you know if they are reliable and follow the right work ethics. Make sure you do not land up paying extra charges apart from the investment just for the delayed delivery of the project. Make sure you check with the company how such risks will be handled by them. The first thing that you need to determine is what are your business needs and goals. You need to identify the business problems and demands that you want the custom software to address and solve. Think if you need a particular feature that would help your strenuous workflow become easier. Or you need a specific platform that would help your team members communicate with each other. When you determine your business needs then you will be able to figure out what exactly you are looking out for in custom software. This will help you have a clear idea about everything. You may consider this factor in the end or may ignore it completely, but as you know every project requires investment and this factor can certainly impact your decision on hiring a particular custom software development company. You can opt for a cost estimation to work out the budget which will comprise of software, hardware, training, travelling, effort costs etc. Custom software is cost effective as compared to readymade software and gives you amazing results in the long run. Well, stay away from very low budgets for custom software development as it can land you in trouble of hiring bad companies or you will have to be happy with even low quality custom software. When you are hiring any custom software development services you need to check the technology required to build the software you are looking for. For example some developers are experts in Java while others are skilled in applications like .Net. It is always better to choose the right expertise in right technology which will reduce the costs as well as give you desired results. When it comes to custom software development, there is not just a single programming language, there are tons of them and different frameworks and tools are used to build software. So, choose a firm that is technologically sound, versatile and is efficient enough to combine different tools to work on your project. Well, do not forget that you need technical support even after the project is successfully completed and you start using it. The software is prone to errors and fixes and professional software development services would always provide technical assistance even post software development. Make sure you find a company who are polite, communicate well and are ready to help you face any problem with the software. This will help you focus on your other important business activities. If the company is not supportive, and friendly, it can have adverse effects on your business as well as your project. Many companies promise that they will provide technical assistance but later they do not attend their customers. This leaves the client in vain as they have no idea what needs to be done when bug appears. So, make sure you get technical assistance to ensure successful use of software. 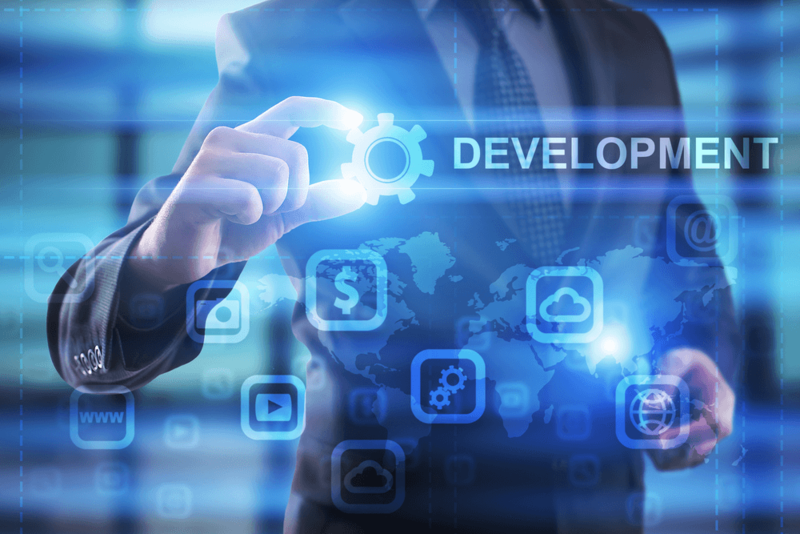 You can check out the key points stated above to choose the right custom software development company to meet your business goals. There are professional custom software developments companies that offer excellent service, fast delivery and help you develop the software using latest and relevant tools required. It is always better consider the key points so that you can hire the reliable and efficient custom software development company and get returns on your investment. Ask for technical assistance post development so that you do not face any problems. It is very important to hire the right developer or team so that you do not have to regret later on your decision and you do not end up spending a considerable amount of money on software.